Walt Disney’s 1941 animated classic, Dumbo, has the distinction of being the shortest feature length Disney film of all time, clocking in at a mere 64 minutes. Yes, audiences paid full price for admission to the one hour film up until its final theatrical rerelease in 1976, which I remember vividly, even though I was only 5 years old at the time. 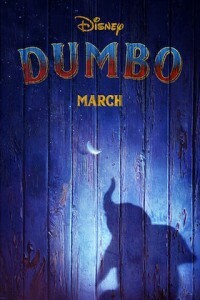 This new Dumbo is one hour and fifty two minutes. Unlike the live action remake of Beauty and the Beast from Disney in 2017, which followed the animated version faithfully, while the animated Dumbo and live action Dumbo have a lot in common, there is also a lot missing in the updated version. There are no controversial crows (mostly voiced by black men) or their famous song “When I See An Elephant Fly.” And there is no drunk Dumbo who hallucinates in this live action version. However, director Tim Burton effortlessly includes a scene where bubbles turn into flying elephants, albeit without the help of the song “Pink Elephants on Parade.” While there is a mouse, and it could very well be Timothy The Mouse, the mouse in this live action Dumbo is relegated to less than a handful of scenes and he is not Dumbo’s friend. In this Dumbo, Colin Farrell’s Holt was once a circus star, but after returning from fighting in WWI, instead of continuing on as a circus act, the now crippled, one-armed Holt is hired by circus owner Max Medici (Danny DeVito, returning to the world of Tim Burton nearly 30 years after his take on the Penguin in Batman Returns) to take care of Dumbo, the newborn elephant whose oversized ears make him the laughing stock of the struggling circus troupe. But when Holt’s children discover that Dumbo can fly, silver-tongued entrepreneur V.A. 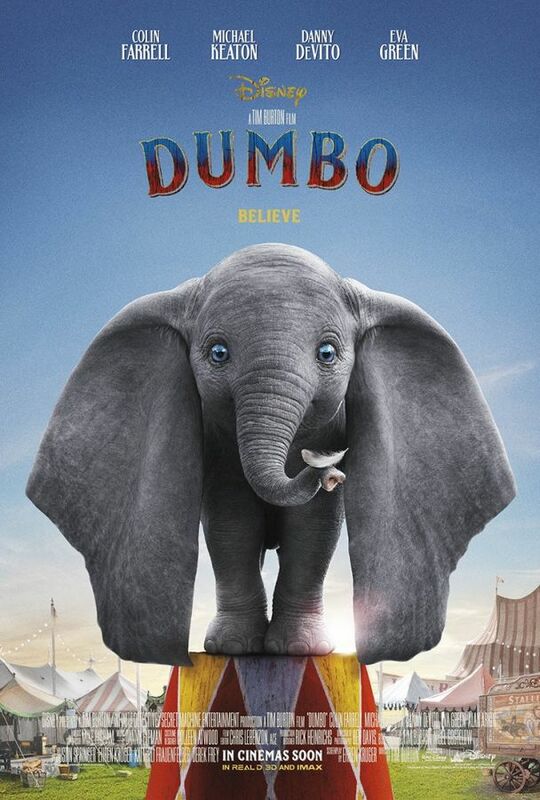 Vandevere (Michael Keaton, who, with a better script, could have hit this out of the ballpark), and aerial artist Colette Marchant (the breathtaking Eva Green) swoop in to make the little elephant a star, and themselves richer, all at the expense of poor Dumbo, who spends the entire movie trying to reunite with his mother who has been branded mad for killing one of the men who tormented her. Oscar winner Alan Arkin’s role as a banker is a complete waste. Curiously, Holt and his deceased wife are white. However, while his son is as white as a ghost, his daughter, Milly, (Nico Parker, real life daughter of Thandie Newton and Ol Parker), is black. This, the real elephant in the room, is never explained. Perhaps we can just chalk it up to Disney magic. While the elephants, and all of the animals in the film are computer generated, the elephants, especially, are a marvel to behold. While the cinematography, costume design (from four time Oscar winner and frequent Tim Burton collaborator, Colleen Atwood), and Tim Burton’s direction are spectacular, the script from one of the worst writers in the history of Hollywood, Ehren Kruger, (responsible for these catastrophes; Reindeer Games, The Brothers Grimm, The Skeleton Key, Ghost in the Shell, and three of the worst Transformers films, among other drivel), is downright criminal. If Disney had spent money on hiring a talented writer the film could have soared. Instead, it crashes hard. Luke Perry, who broke out as a bad boy in the 1990s Fox teen drama “Beverly Hills, 90210,” has died following a stroke last week. He was 52.